iTunes, the Apple supported podium for music worshipers is much more than just a place to keep your own music library. 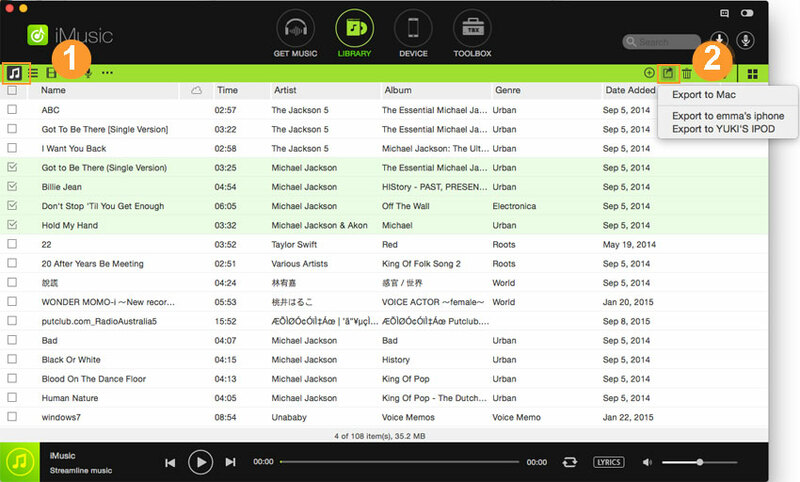 Share iTunes music is one of its significant features and that’s where all the fun begins. 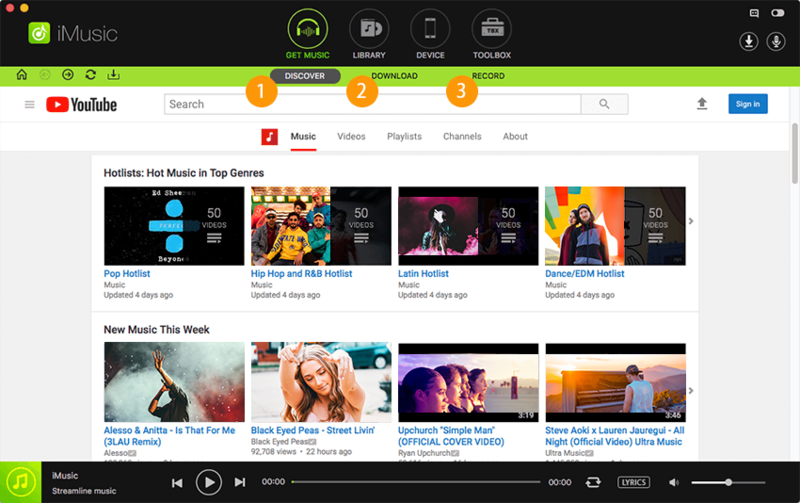 You can not only manage your own music, but you can also share music on iTunes with others and have others’ share with you. 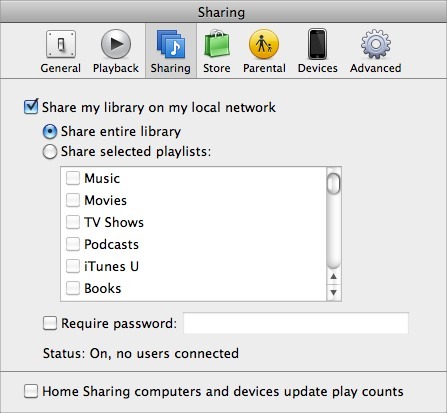 You can also share music purchases among your family members on iTunes and lastly, you can do the sharing between computers. 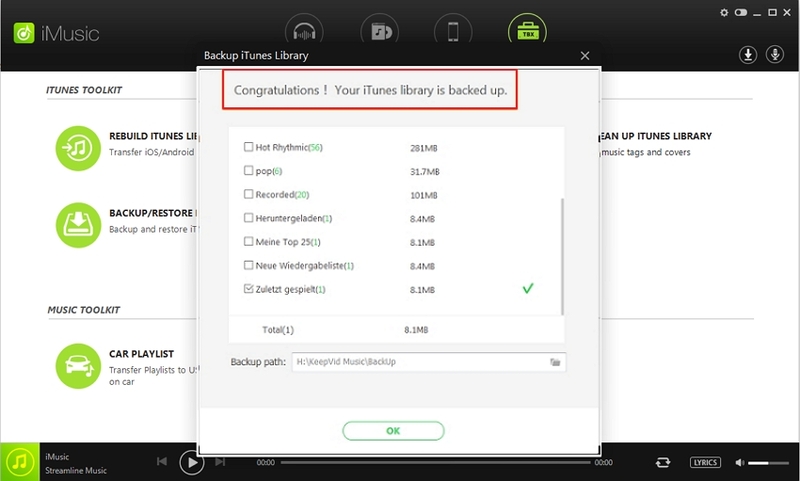 There are three fundamental ways on how to share music on iTunes. Step 1: Download iMusic on your Mac/PC, install and launch it. After then, use a USB cable to connect your iPhone. 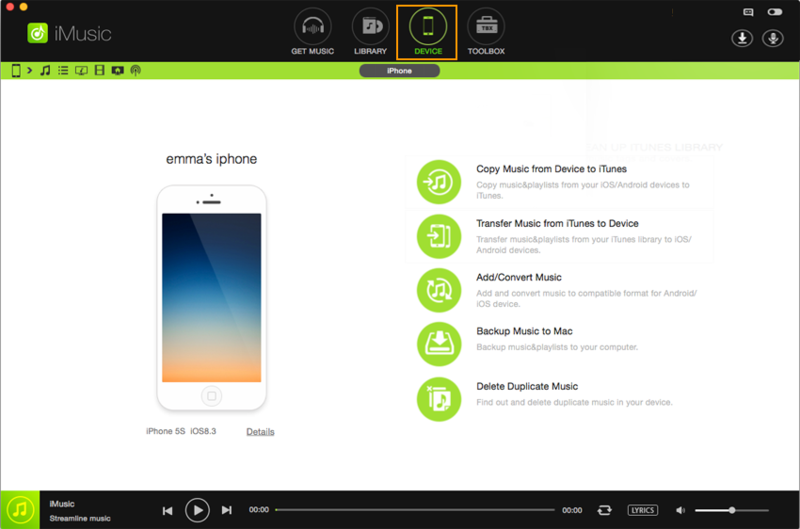 You see your iPhone appears in iMusic “DEVICE” window. 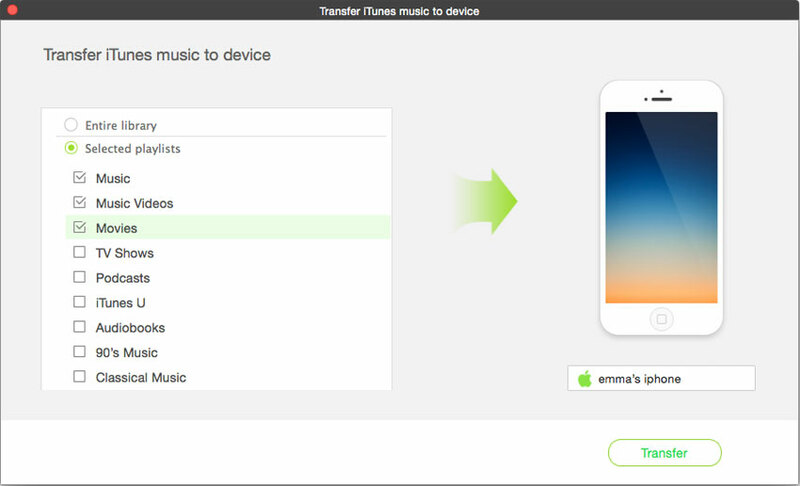 Option 1: In the main window of “DEVICE”, there is an option “Transfer Music from iTunes to Device”. Click it and then select file types you want to transfer. Check the file types and click “Transfer”. Please note, if you have a big iTunes Library, I suggest you option 2 – transfer selected songs. Option 2: In “ITUNE LIBRARY” window, all songs in iTunes library are displayed there by default. 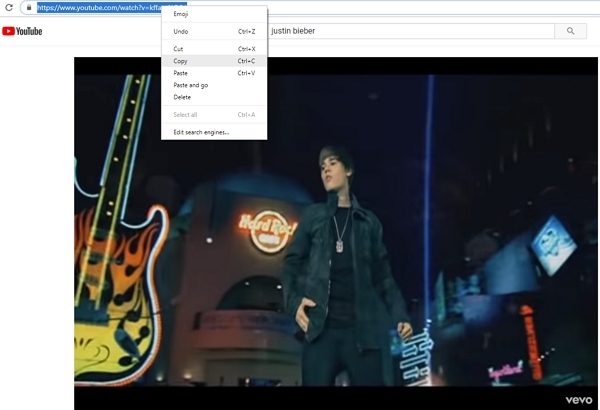 From there, check the songs you want to sync to the Apple device you have connected, then click the export icon on the top right of the window > choose “export to (your device name)”. Step 1: Set Family Sharing up. Send invites to a maximum of five people in the family. Step 2: By connecting with the invitees, you are agreeing to bear the expense of all purchases initiated by any member of the shared account. Step 3: They have to accept the invitation which ensures that the feature is set up in each of their devices. Step 4: As soon as an eligible purchase is made, the items get accessible to all in the group. Step 5: Find all the purchased products under the iTunes Purchased tab in each of the names. Step 6: Hit the name of the member whose collection you wish to browse. 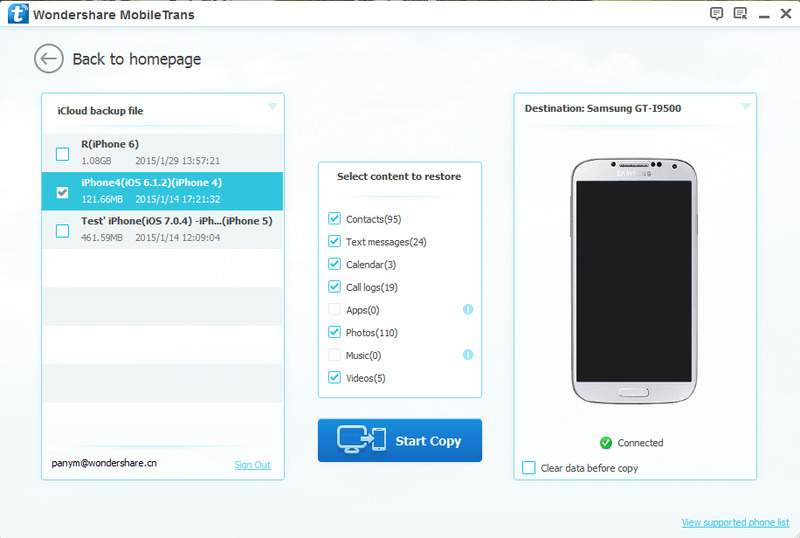 Step 7:Download the file and play in your device. Step 8:Select Hide Individual Items in order to keep some selected files private from access. Step 1: Go to iTunes. 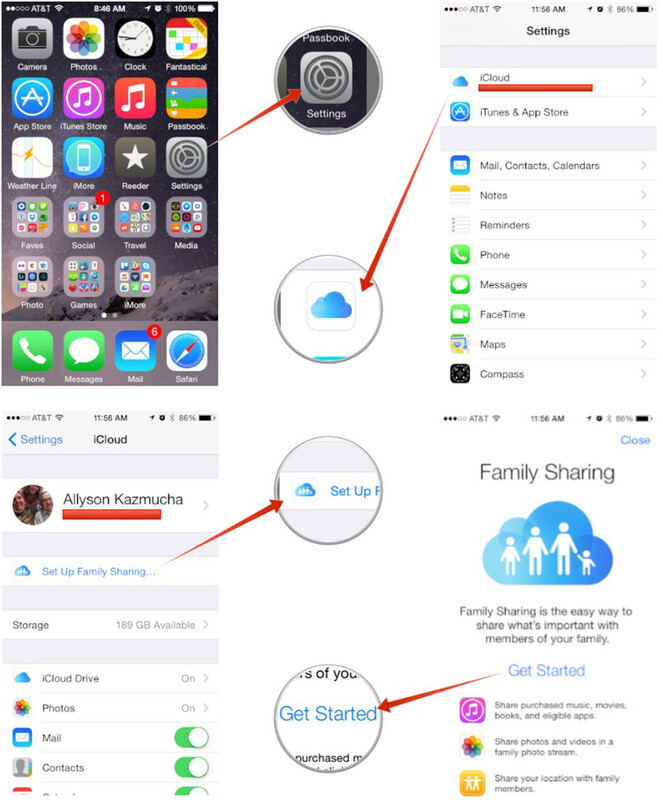 Find File from the top menu bar and go to Home Sharing. Step 2: Upon enabling it, you’ll require to enter your password and Apple ID. Step 3: Feed the credentials and select Turn On. Step 4: Now go to Settings on the lower-right corner. Step 5: Select the files you wish to share. Step 6: Turn on the Automatic Transfer option, which is turned off by default except when new purchases are made. This is easy and so much fun considering the fact that sharing leads to networking on iTunes. You can share your iTunes collection, even the entire library with others through this simple step by step process. Step 1: Close the iTunes application. Step 2: Access the Media Folder in ~>Music>iTunes. Step 3: Now drag the folder to a location that is public. Step 4: Now launch iTunes. Go to Preferences and hit Advanced. Select the Change button. Step 5: Now access the Media Folder through the window that pops up. Click Open or Choose.